The Murdoch paradox was in full evidence last week. Though he has always distrusted movies, he is gratified by the “Avatar” revenue stream, the endless bliss emanating from “American Idol” and the overall prosperity and stability of his Hollywood properties. But he is, at heart, a print man, and his critics continue to fault him for his lavish spending on newspapers. The New York Post loses an estimated $70 million a year. 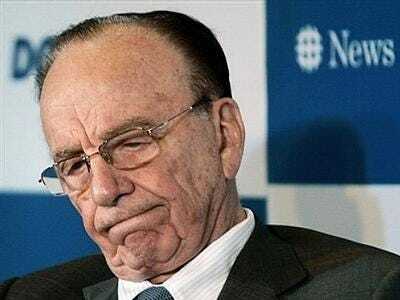 A year ago News Corp. took a $3 billion writedown on its newspapers, reflecting the impact of the much-criticised $5 billion acquisition of the Wall Street Journal. In initiating his assault on the Times, his nemesis of the moment, Murdoch is amping up his newspaper wars at a time when his bankers would like to see him make a peaceful exodus.